take some time to check out these amazing blogs! the tiemann girls offer up some eye candy and a thought on fairy tales... do you still read them? Believe in them? Maybe you should (if you don't)! live a lot sports a fun winter outfit in the snow - you have to check out her amazing triple twist hair do! Whoa! Gorgeous! 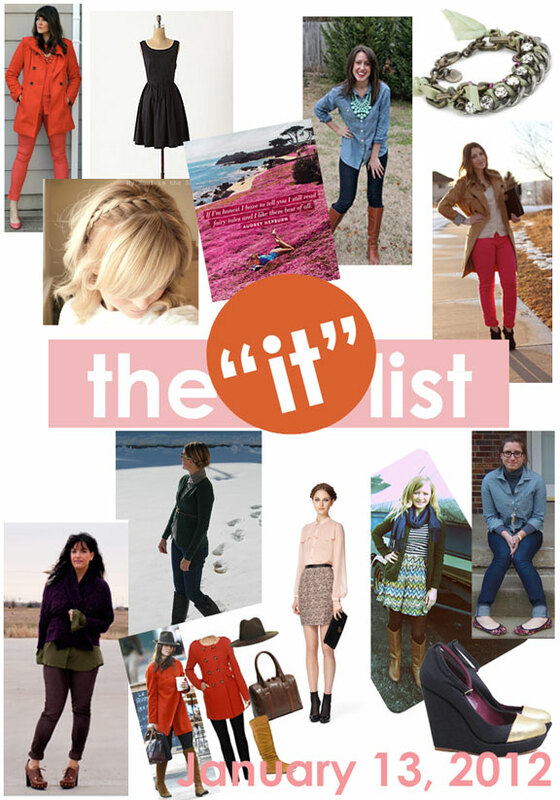 the IT list is produced weekly by Jill of good life, for information on how you can be involved - click here! Check out these other great bloggers, and Jill over at the Good Life. Hope you find some more amazing reads! Wow, this is definitely the IT list to be - very cool! I have to agree that hairbraid headband thing is the BOMB! Such awesome finds, thanks for sharing!